Welcome to the World, Silas! I am a terrible blogger. Our newest addition joined our family 2 weeks ago and I’m just now telling you! Oh well, better late than never…. so without further ado….introducing…. He was born 6 days late, on August 26. He weighed 8lbs and was 21 inches long. Our midwives were expecting a 10lb baby…so we were all surprised when he came out as “skinny” as he was; until I birthed the placenta. His cord was 54.5″ long! Y’all- a normal cord is 24″ and more often than not, they’re a bit on the short side. His was over double the length of a normal cord. I literally had a 2lb cord, and that’s why they were measuring him so big. Who would have thought! Today he had his 2 week check-up with our pediatricians. They were SO impressed with how happy, healthy & big he was! Ha….they should have seen my first one! 😉 He’s gained 1lb 9oz and has grown 1.5 inches in length- weighing 9lbs9oz and 22.5in long now. So thankful he’s growing and is healthy! Stay tuned for his birth story! It was super crazy and about as opposite from my first birth as you can get! Did you know 1 in 4 women go through a miscarriage, infant loss or stillbirth? Pretty crazy, huh? I really didn’t know many people who had a miscarriage/stillbirth before I had my own miscarriage. Shortly after I had my first miscarriage, my good friend had her first stillbirth. It was a hard time for a lot of us. Since having my miscarriage I realized a lot of women go through this- that doesn’t make it easy- but it’s nice to know I’m not walking this alone. My first miscarriage brought me so close to my Lord. Thank the Lord I didn’t go into depression or struggled too much, even though I was working at a crisis pregnancy center at that time. 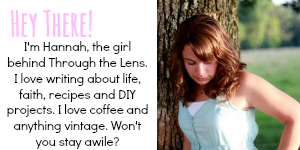 I love this post of Bible verses for finding hope in miscarriages. For those of you who have never gone through this loss- this is a great post on what not to say and how to help those grieving. All throughout my pregnancy, I used Young Living oils for feeling my best. If I had a longer birth experience, I totally would have used them for that, too! 😉 So it is totally natural for me to use oils on my baby….here are my favorites & why I use them! When using oils on your baby (or child), V6 or coconut oil will become your BFF. Known as a carrier oil, it helps make the oils “go further” and it also helps dilute some of the hotter oils for baby’s sensitive skin. I have used these 6 oils since my son was 6hrs old. He is currently a year old and, although we add different oils for different occasions, these are STILL my go-to oils for him! I use 1 drop of R.C. diluted in V6 on his chest. RC stands for Respiratory Care. A drop of Valor (or Valor II) on the base of his neck after a chiropractic adjustment. 2-3 drops of Gentle Baby on his head before bed. This is great for skin- it definitely helps his cradle cap, and it’s also a calming, relaxing scent. Diluted Thieves on his feet! I do this before bed, when he gets up, and before we go into town. A baby can use all the immune system support he can get! Tranquil & Rutavala; this is the bedtime duo! If I forget to apply these to Caleb, he doesn’t sleep/nap as soundly, nor does he go to sleep quite as quickly! I roll Tranquil on behind his ears and Rutavala on his big toes. I hope this helps you on your path of a healthy lifestyle! If you want more information on Young Living, check out my page here, or if you’re ready to jump feet first into a oily lifestyle & join my community, you can sign up HERE.